This is a tour of the soul of the Emilia Romagna region by going through cities and towns full of history, as well as by discovering castles and landscapes untouched by mass tourism. 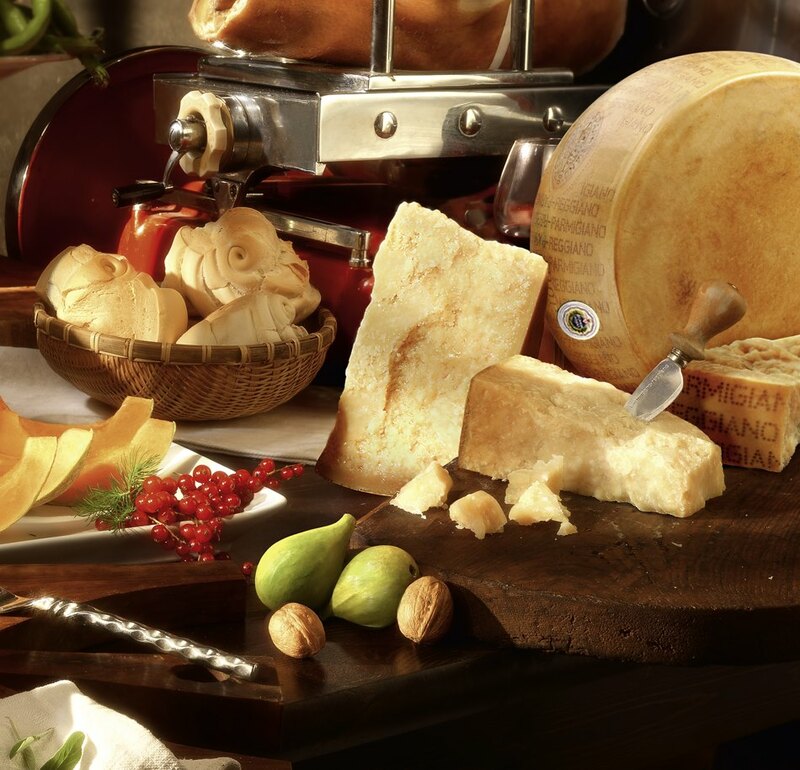 It is a tour in the heart of Italian cuisine, where everything that unfolds at the table is the result of the local historic traditions. It is a tour that follows the flavors and aromas of typical products such as: Traditional Balsamic Vinegar, the result of a nearly scientific knowledge passed through the centuries; fresh pasta, such as the cappelletti from Bologna, and the cappellaci made with the pumpkin from Ferrara; the typical bread of Ferrara; the cured meats such as the best Prosciutto from Parma and Mortadella from Bologna; boiled meats; the king of cheese Grana Padano; wines such as Lambrusco from Modena. Let your heart be won by listening to your stomach, and do so by following this itinerary, which dives into the tastiest traditions! The capital city of the a rich Italian Emilia Romagna region,. 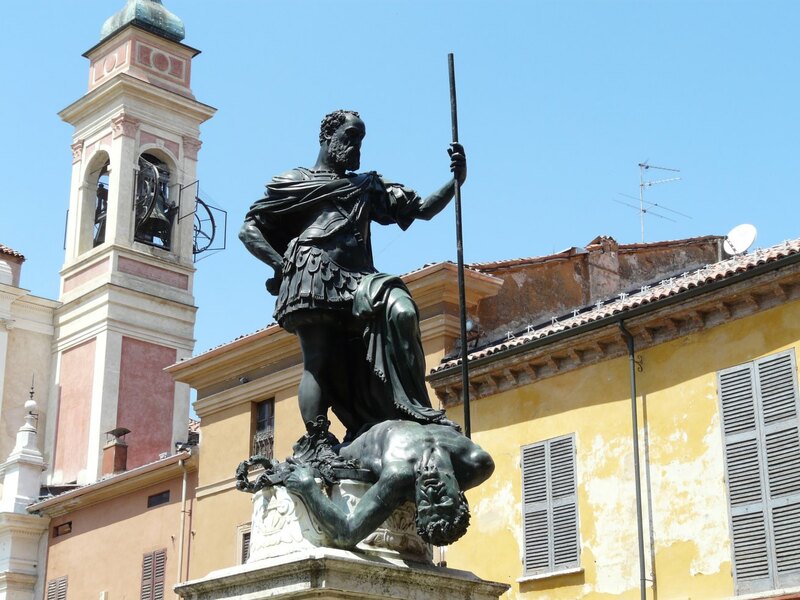 Bologna is an ideal location for both a cultural vacation as well as a moment to relax and have fun since it has not yet been contaminated by mass tourism. Within its walls, some of which are still intact, the first university of the world was established during the XI century. The main characteristic elements of the city are its streets, archways and palaces. Departure by bike for Ferrara. 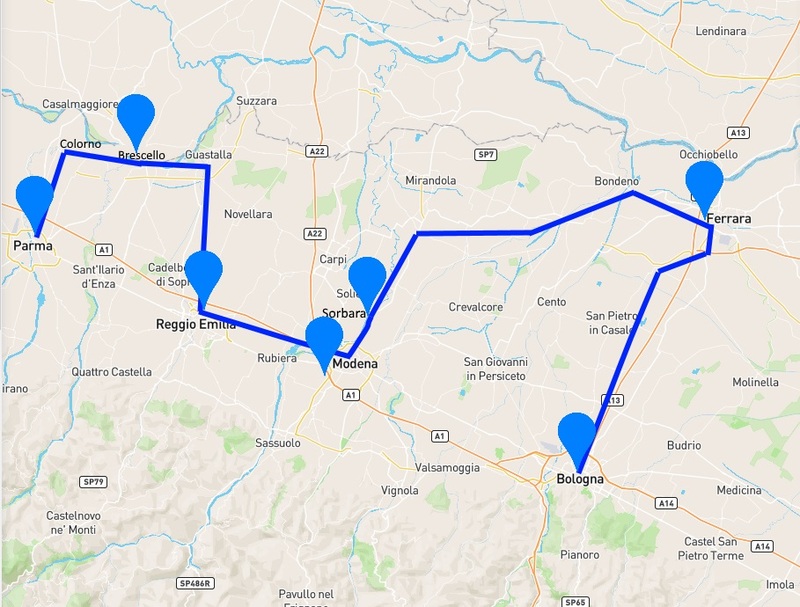 The journey with take you through the typical countryside of the Po River Valley plains, as you pedal along roads with little traffic, bike paths and alongside river embankments. Arrival in Ferrara. 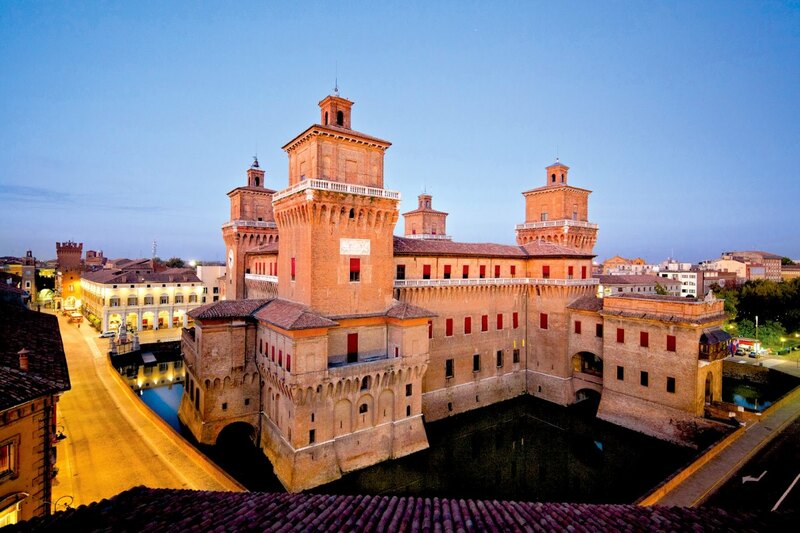 Ferrara, known as the “city of the bicycles,” is to be discovered by pedaling through its streets and squares. 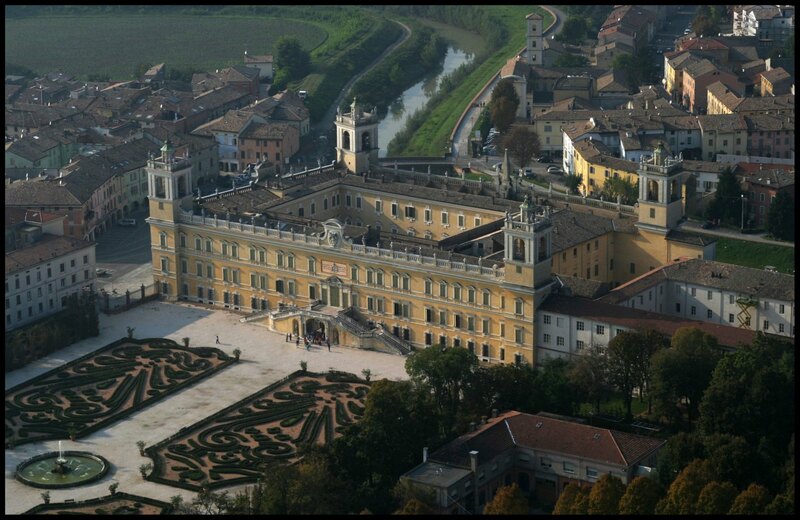 While you are here, you must visit its impressive castle, which is famous for being the capital of the Estense family duchy until 1598, when it was devolved to the Papal States. The town has preserved the authenticity and peacefulness of a true Italian town, maintaining its ancient splendor. A little more pedaling around Ferrara then departure for Sorbara. The chosen path is known as the “Burana” bike path, one of the most beautiful in Emilia Romagna, which follows the eponymous canal. By crossing over an old train bridge, you will arrive in Bondeno. 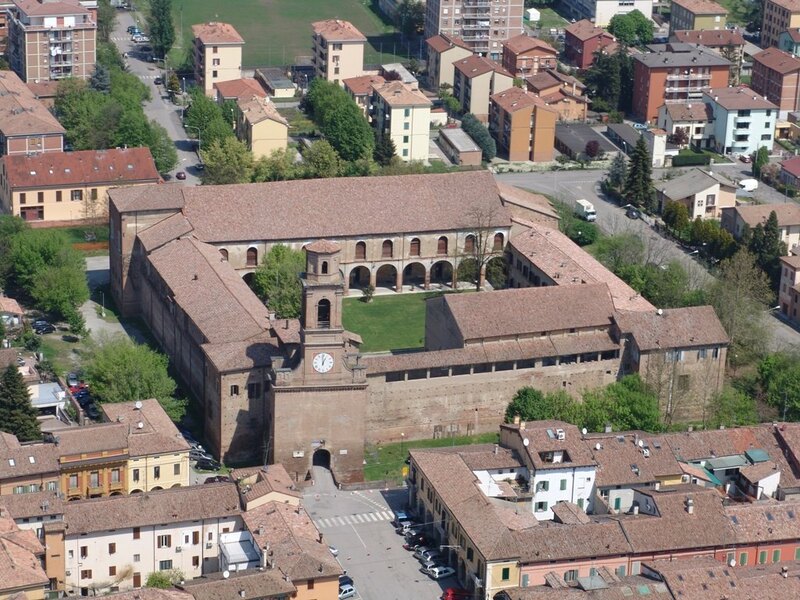 From there, you will continue to Sorbara by crossing through various medieval towns, with fortresses and ramparts dating back to the Estense family duchy. Before arriving at the hotel, there will be a stop at one of the oldest vinegar producers to discover how to make the typical balsamic vinegar of Modena. The visit will end with a vinegar tasting, by sampling various aged from 12 years until 50 years. After the tasting, you will then stop in a wine cellar where Lambrusco of Sorbara has been produced for over 65 years. Departure for Modena. Arrival in Modena, a town known for its rich history and art. It is also famous for excelling in producing motors and typical food products. 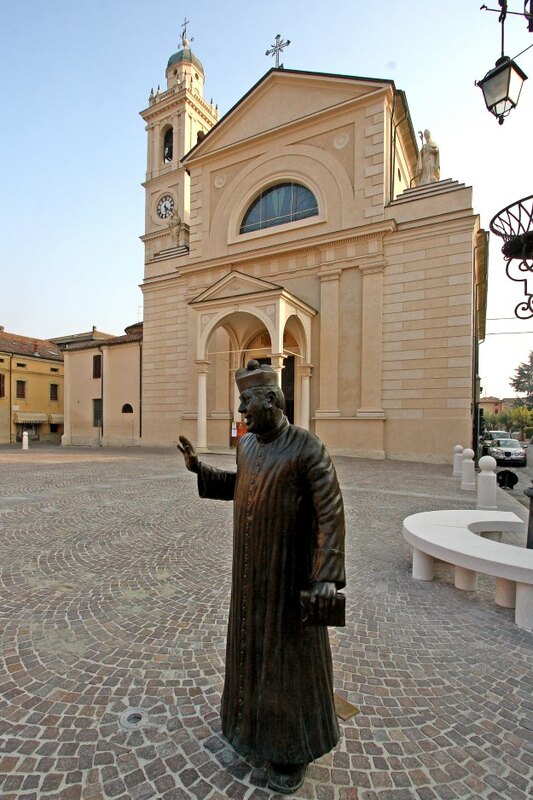 It is a town proud of the mystical beauty of the Romanesque cathedral (one of the UNESCO World Heritage sites), and it is the home town of Enzo Ferrari and Luciano Pavarotti. The path will follow the Secchia river, passing through the Corte Ospitale, which was historically a rest point for the travelers along the Via Aemilia and is currently an important theatre. The itinerary will then continue on to the oasis known as Marmirolo, a protected area managed by LIPU (Italian League for Bird Protection), where you can observe a significant number of bird species. Arrival in Reggio Emilia in the late morning. The afternoon will be free to visit the city. Breakfast and the last visit of the city. The heart of the tour will be among the medieval feuds, churches and lands of the historic artists and poets, such as Guercino, Tasso and Guarini. In these places, you can admire the splendor of the medieval palaces. The day will end in Brescello, a town that is famous for being the setting of “C’era una volta un paesino…” (Once upon time there was a town…) – the beginning of one of the movies from the Don Camillo and Peppone series that were filmed in Brescello. Breakfast in the hotel. Last day of the tour. 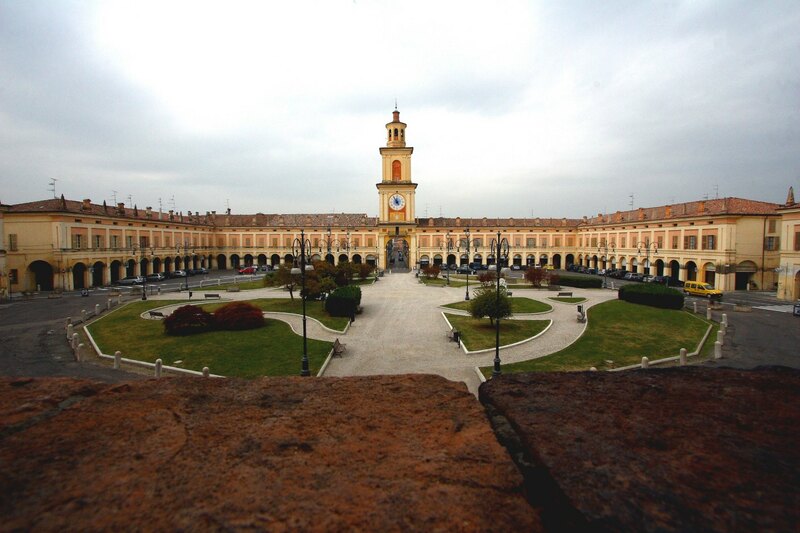 A morning departure for Parma, the capital city of pasta, prosciutto ham and cheese. A pit stop at Colorno to admire the Colorno mansion, which is an elegant structure of monumental proportions with over 400 rooms, plazas and gardens. The mansion is enveloped by a wonderful “French formal garden.” The tour will then continue onto Parma. 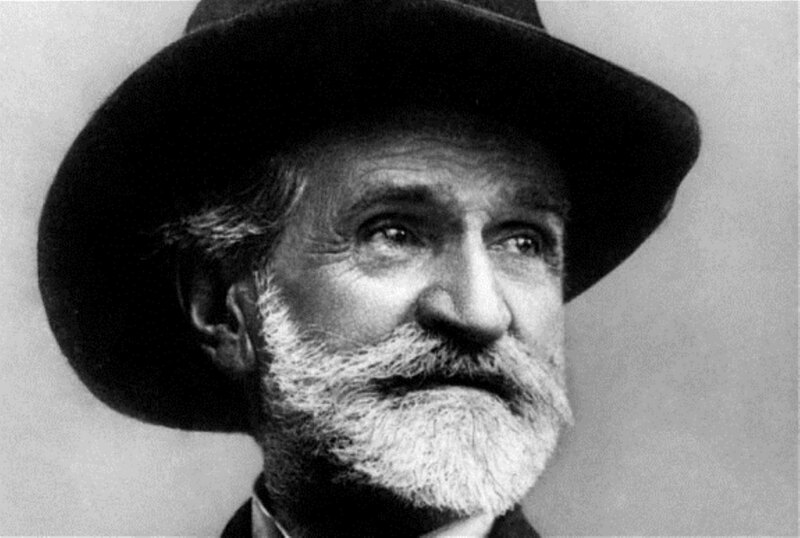 There will be free time to visit the city, the home town of Giuseppe Verdi. End of the tour. Return bikes to the train station with the option to return to Bologna by train.